Lou Harrison lived a courageous life as an artist leaving a legacy of beauty, acceptance, activism and concern for humanity and for the earth. May 14, 2017 marks Lou’s 100th birthday, a cause for celebration and an auspicious opportunity for a global day of art making and conservation that crosses geographic and cultural boundaries. On this day we wish to embolden and invite ALL people from around the globe to engage in creative acts – to make art and plant trees, wherever they are. We have already reached the continents of North America, Europe, South America, Asia and Africa with our message. In a moment when empathy and mutual understanding are urgently needed we believe art has the capacity to unite people across borders and to create joy, peace and compassion. 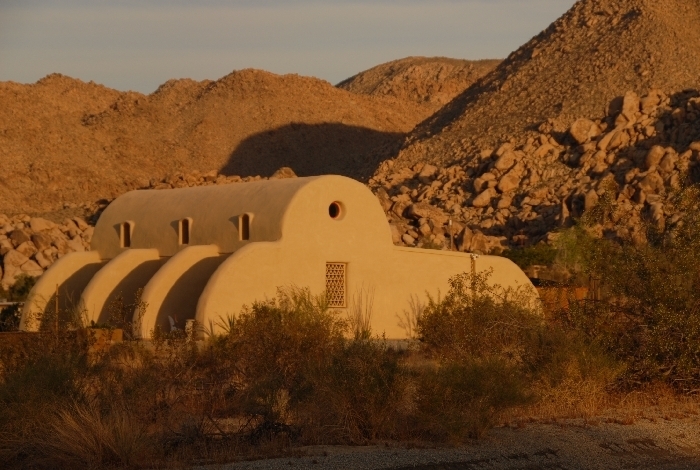 For our part Harrison House Music, Arts & Ecology, based in Joshua Tree, California, will be presenting a 24 hour event and live streaming our programming via our website louharrisonhouse.org. Our community will also be ignited with exhibitions, tree planting, and continuous screening of Eva Soltes’ feature length documentary LOU HARRISON: A World of Music. 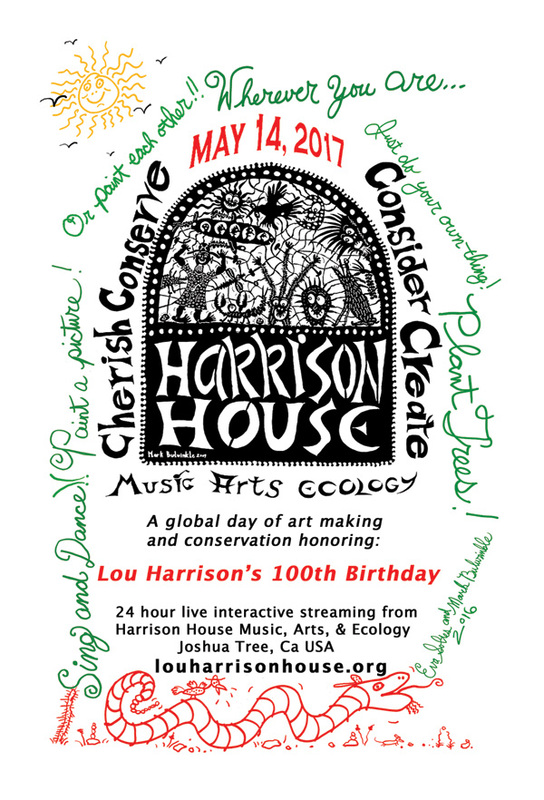 Simultaneously we will host a separate online event inviting people globally to post their activities and celebrations of art and ecology in honor of Lou Harrison. 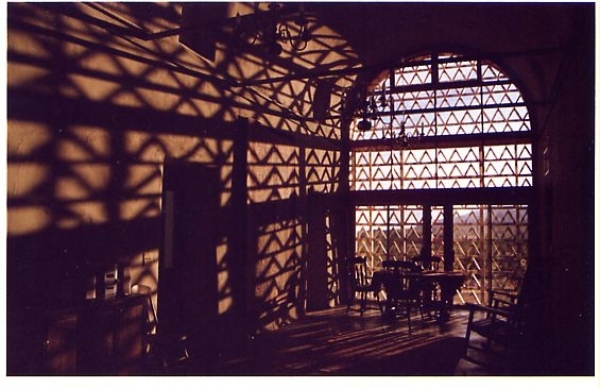 We invite you to be part of this day that celebrates human creativity and care for the earth, in the spirit of Lou Harrison, who expressed himself fearlessly with his art even during the most difficult of times.